Narendra Damodardas Modi, the current and 15th Prime Minister of India was born on 17th September 1950.Narendra Modi, the BJP leader has also administered as the Chief Minister of Gujarat from 2001-2014. Modi was born in a grocer's family belonging to the backward community Ghanchi-Teli in Vadnagar.He was the third amongst the four children born to Damodardas Mulchand Modi and his wife Heeraben. As a child and a teenager, he helped his father in running a tea stall at Vadnagar railway station. Modi at the age of 17 was very different from others of same age group.At 17, he had made an unusual decision to leave home and travel across India.Though it was hard for his family members to accept but it was considered. He has been a member of the Rashtriya Swayamsevak Sangh (RSS) since childhood, having an interest in politics since adolescence. He holds a master's degree in political science. In 1998, he was chosen by L. K. Advani, the leader of the Bharatiya Janata Party (BJP), to direct the election campaign in Gujarat and Himachal Pradesh. He became the chief minister of Gujarat in October 2001, promoted to the office at a time when his predecessor Keshubhai Patel had resigned, following the defeat of BJP in the by-elections. His tenure as chief minister began on 7 October 2001.In July 2007, he became the longest serving Chief Minister in Gujarat's history when he had been in power for 2063 days continuously.He was elected again for a third term on 23 December 2007 in the state elections, which he had cast as a "referendum on his rule".Under his leadership Bhartiya Janata Party won 2012 State Assembly Elections and he was chosen to serve for this fourth term as Chief Minister of Gujarat. Modi is a controversial figure both within India and internationally.His administration received heated criticism surrounding the 2002 Gujarat violence. However, he enjoys considerable support in his home state and is credited with the high economic growth in Gujarat under his government. Modi was born on 17 September 1950 to a middle-class family in Vadnagar in Mehsana district of what was then Bombay State, India. Modi is a vegetarian During the Indo-Pak war in the mid sixties, even as a young boy, he volunteered to serve the soldiers in transit at railway stations. As a young man, he joined the Akhil Bharatiya Vidyarthi Parishad, a student organisation and was involved in the anti-corruption Nav Nirman Movement. After working as a full-time organiser for the organisation, he was later nominated as its representative in the Bharatiya Janata Party As a teenager Modi used to run a tea stall with his brother. Modi completed his schooling in Vadnagar. He earned a masters degree in political science from Gujarat University. Modi is known for leading a frugal lifestyle. He has a personal staff of three. He is known to be a workaholic and an introvert He ordered the demolition of many illegal Hindu temples that were built without proper government sanction which earned him the ire of VHP. He is a crowd puller as a speaker. Modi sometimes wears business suits. Modi was a pracharak (full-timer) in the RSS during his university years.He took up the challenging task of energising the party cadres in right earnest. In partnership with Shankersinh Vaghela, Modi set about creating a strong cadre base in Gujarat. In the initial period, Vaghela was seen as a mass leader, while Modi was recognised as a master strategist. The party started gaining political mileage and formed a coalition government at the centre in April 1990. This partnership fell apart within a few months, but the BJP came to power with a two-thirds majority on its own in Gujarat in 1995. During this period, Modi was entrusted with the responsibility of organising two crucial national events, the Somnath to Ayodhya Rath Yatra (a political rally through India on a converted Toyota van) of L.K. Advani and a similar march from Kanyakumari (the southernmost part of mainland India, southernmost point of India being Indira point of Andaman and Nicobar islands) to Kashmir in the North. After the exit of Shankarsingh Vaghela from the BJP, Keshubhai Patel was made Chief Minister while Narendra Modi was sent to New Delhi as a General Secretary of the Party. As an aftermath of the riots, there were calls for Modi to resign from his position as chief minister of Gujarat. The opposition parties stalled the national parliament over the issue and the Dravida Munnetra Kazhagam (DMK) and Telugu Desam Party (TDP), allies of the BJP, also asked for Modi's resignation. Modi submitted his resignation and the state Assembly was dissolved.In the resultant elections the BJP, led by Modi, won 127 seats in the 182-member assembly. Modi made a speech at Mangrol in which he justified the encounter of Sohrabuddin Sheikh, during the election campaign in response to Sonia Gandhi's speech calling him a "merchant of death",and referred to Sohrabuddin's killing. For this speech the Election Commission of India, a constitutional body governing election proceedings in India, cautioned Modi as it considered it as indulging in an activity which may aggravate existing differences between different communities. Modi won the election and continued his post as the Chief Minister of Gujarat, he won with majority of votes of 122 seats out of 182 total assembly seats. In the late 2011-early 2012 Narandra Modi underwent a series of fasts as part of the Sadbhavna Mission. The mission started on 17 September 2011 in Ahmedabad with 3-day fast with a view to strengthen the atmosphere of peace, unity and harmony in the state. He observed total 36 fasts in 26 districts, 8 cities including Ahmedabad. The BJP secured a majority in these elections. Narendra Modi won in his constituency Maninagar by a margin of 86,373 votes against Shweta Bhatt (wife of Sanjiv Bhatt) of the Indian National Congress. The BJP has been the ruling party in Gujarat since 1995. I have to save the youths of Gujarat from the dreaded evil of cancer and that's why a decision to impose a complete ban on gutka has been taken." In an interview on 26 July 2012 to Shahid Siddiqui, editor of an Urdu weekly, Nai Duniya and an MP of Samajwadi Party told that if he is found guilty of collusion in the 2002 riots, should be hanged, other-wise insinuations against him should cease. “ "There is no question of apologising because if I have committed this crime, then I should not be forgiven, I should be hanged. And I should be hanged in such a way that people should learn a lesson for 100 years that nothing like this should happen. If I have not committed the crime, then the nation and the media especially should seek my forgiveness"
As the Chief Minister of the Gujarat State, to attract foreign investment in the state, Narendra Modi has made visits to foreign countries, including China, Singapore and Japan. For ten years after the 2002 riots, the United Kingdom refused to deal with Narendra Modi, but the UK changed this policy in October 2012. On 31 March 2013, Modi was appointed to the BJP Parliamentary Board, the highest decision-making body of the party. On 9 June 2013, Modi was further appointed as Chairman of the BJP's Central Election Campaign Committee for the 2014 general election.This soon followed with L.K. Advani’s election. The Times of India described it as "a protest against Narendra Modi's rise as the chairman of the party's election committee".However, Advani withdrew his resignation the next day. Modi won from both seats he contested; defeating Arvind Kejriwal leaderf AAP, in Varanasi & Madhusudan Mistry of the INC in Vadodara (by a margin of 570,128 votes, the second highest ever).H e led the BJP-led NDA to a grand victory in the general elections in which the ruling Indian National Congress suffered its worst defeat. Narendra Modi was sworn in as prime minister on 26 May 2014 at the Rashtrapati Bhavan. 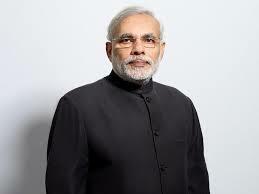 In a first of its kind, Modi invited all SAARC leaders to attend his swearing-in ceremony. "Modi saheb tame agar vadho ame tamati sathe chiye.."
" I SUPPORT MODI M MODERN OF YOUTH O ORGANISER OF INDIA D DIAMOND POWER I INTERNATIONAL LEADER "
" ENERGY OF THE YOUTHS POWER OF THE YOUTH IN INDIA IS TO Mr NARENDRA DAMODARA MODI WE WANT MODI IN KARNATAKA ARE YOU READY TO ACCEPT"